James D. Jackman obtained his Bachelor of Science Degree in Accounting from the University of Akron in 1982 with a second major in finance. 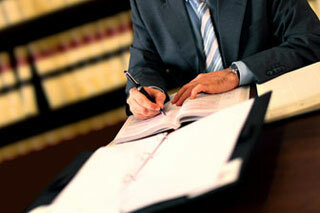 He earned his law degree from Nova Southeastern University Shepard Board Law Center in 1985. He has been in private practice since May1, 1986. Jim’s primary areas of practice include representation of Debtors in Chapter 7 liquidations and Chapter 13 reorganizations and small Chapter 11 cases. Jim has handled several types of civil cases over the years until deciding to focus on helping those people and small businesses that are overwhelmed with debt. In addition, Jim handles foreclosure defense cases both for homeowners and businesses, probate matters, wills, power of attorneys, living wills and health care surrogacy agreements. Jim does not hesitate to refer cases that he does not handle as he feels fortunate to have a number of excellent attorneys in his community that provide great representation should he not be able to assist in a particular legal matter. Jim is a member of the National Association of Consumer Bankruptcy Attorneys, American Bar Association, The Florida Bar, and the Manatee County Bar Association. Jim is also admitted to practice in Ohio. On a personal note, over the past 18 years Jim has been active in his community as a member of the Kiwanis Club and as a volunteer coach for youth soccer and basketball and varsity high school football. He has served on the Board of Trustees at the school which his sons attended from elementary through high school. A fan of college football and basketball, Jim also enjoys spending time with his wife and sons.